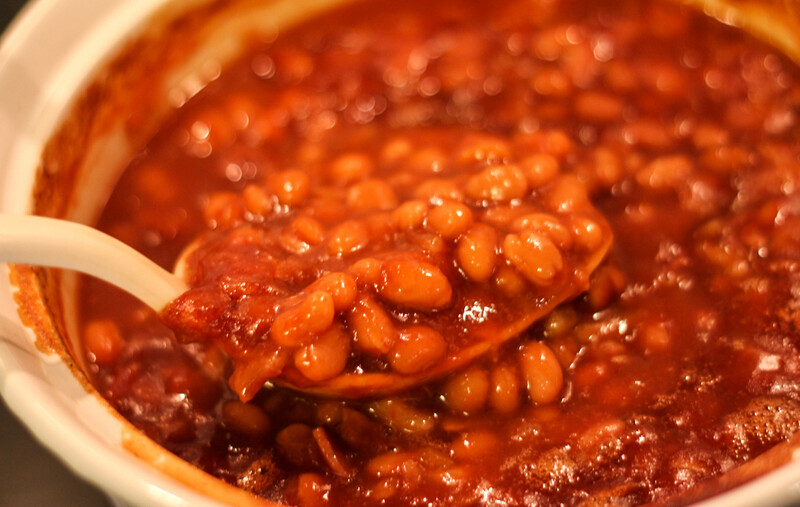 My favorite recipe for Baked Beans, the perfect side dish recipe for cookouts and family gatherings. 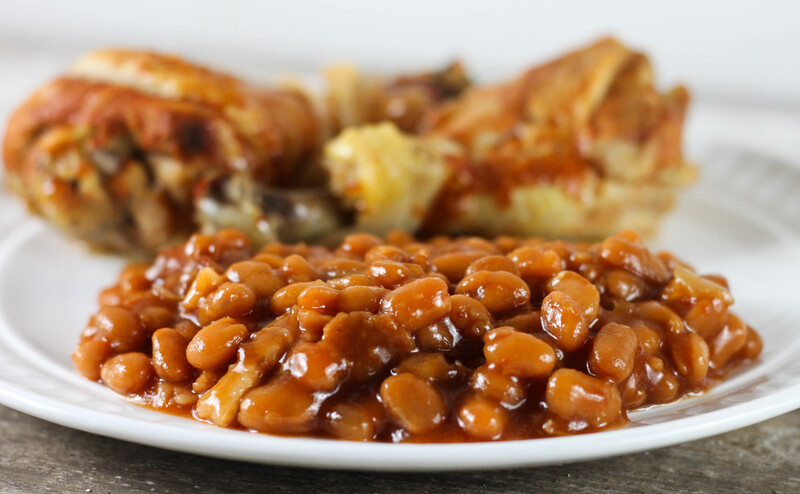 You can’t have a picnic without baked beans! Well I guess you could 😉 but why would you want to? 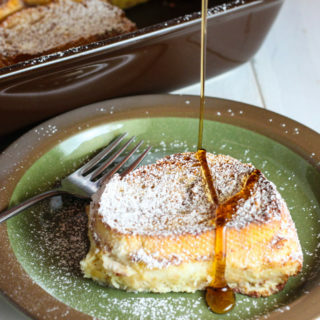 I have spent the last couple years perfecting this recipe and they are always gobbled up everywhere I take them! 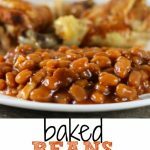 These baked beans are easy to make and start with canned pork and beans, I like to use the VanKamp Pork and Beans. You could easily also make this is a crock pot just be sure to saute the onions before and cook on low for 4-6 hours. 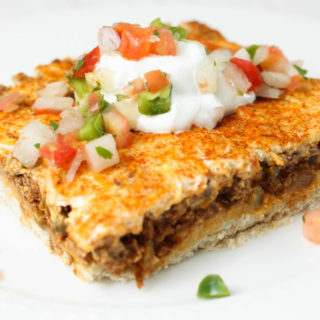 The top won’t get as caramelized or crunchy on top but the beans will taste great and sometimes simple is key to getting all of your food together for a family gathering. Speaking of simple! 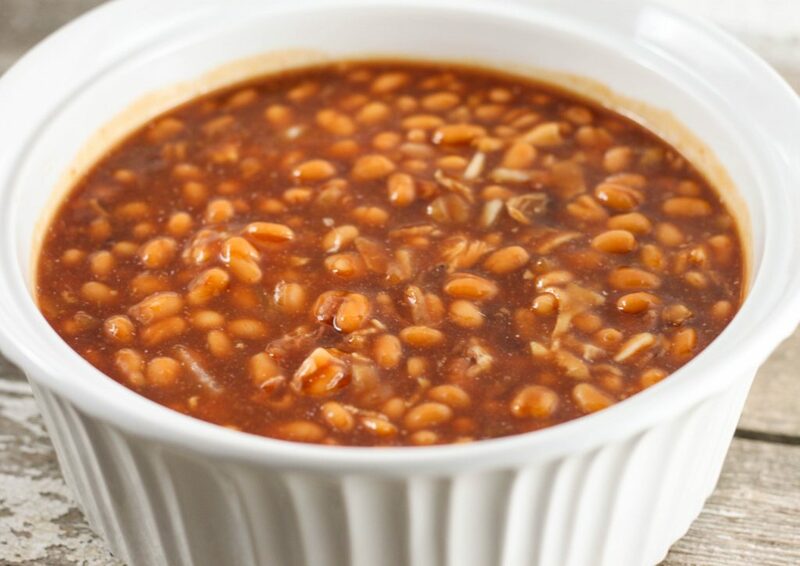 If you don’t want to spend the time chopping up the bacon you could use one of the Oscar Meyer Bacon Bits pouches (i like to use the bacon pieces – they are a little bigger that the bits) or cut the bacon in half and place it on the top of the beans uncooked and it will cook while you bake the beans. Saute the chopped onion and bacon in a medium size skillet for a couple minutes or until the onion is translucent. Add the bacon and onion mixture. 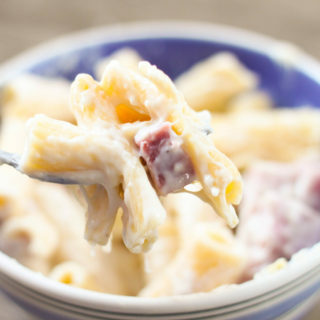 Cook at 350 degrees for 45 -60 minutes or until bubbly and warm throughout.